I’ve Tried Low Carb Diets and Have No Energy! 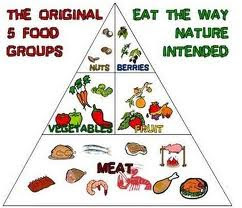 · Paleo IS NOT low carb! But Aren’t They High in Saturated Fat? · Dietary saturated fat has never been shown to increase the risk of heart disease! "Nutritional science has advanced rapidly, and the evidence now demonstrates the major limitations of nutrient-based metrics for prevention of chronic disease. The proportion of total energy from fat appears largely unrelated to risk of cardiovascular disease, cancer, diabetes, or obesity. Saturated fat—targeted by nearly all nutrition-related professional organizations and governmental agencies—has little relation to heart disease within most prevailing dietary patterns. Typical recommendations to consume at least half of total energy as carbohydrate, a nutrient for which humans have no absolute requirement, conflate foods with widely divergent physiologic effects (eg, brown rice, white bread, apples). Foods are grouped based on protein content (chicken, fish, beans, nuts) despite demonstrably different health effects. With few exceptions (eg, omega-3 fats, trans fat, salt), individual compounds in isolation have small effects on chronic diseases. Thus, little of the information found on food labels’ “nutrition facts” panels provides useful guidance for selecting healthier foods to prevent chronic disease. Although this approach may seem radical, it actually represents a return to more traditional, time-tested ways of eating. 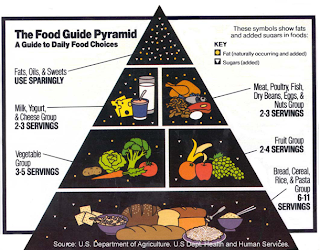 Healthier food-based dietary patterns have existed for generations among some populations." Healthy Eating So Easy A Caveman Could Do It! Please join me for a FREE nutrition seminar this Saturday at 1 PM. This event will be held at eh Pendergrass Academy of Martial Arts located at 12339 Wake Union Church Road in Wake Forest (near Brigg's). I will be discussing how to look, feel, and perform at peak levels through a Paleolithic approach to eating.